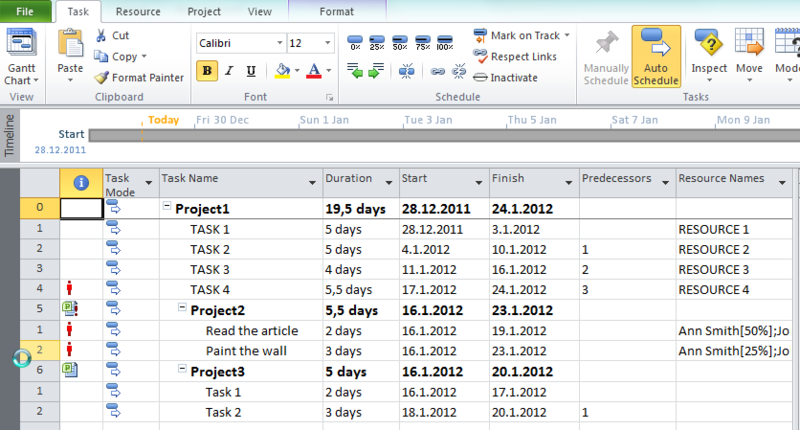 Notice that you can see critical path for Master, and Slave Projects on the Gantt Chart. 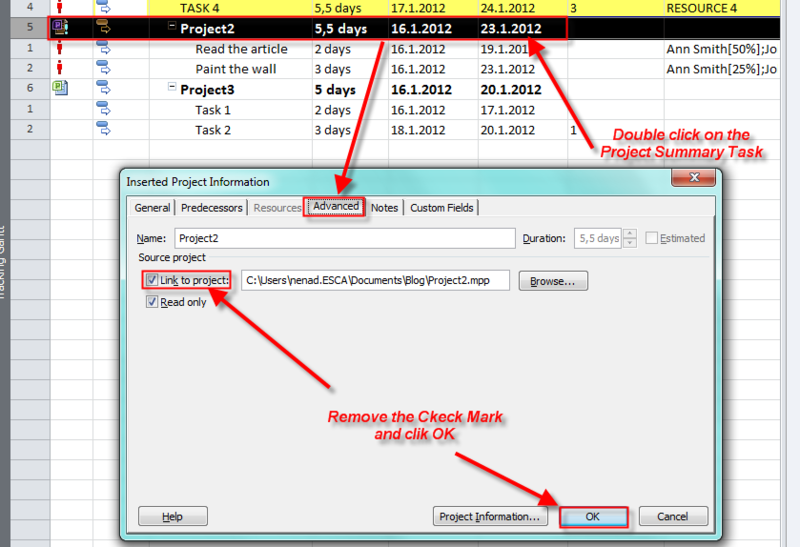 Notice that Project2, and all its Subtasks are still in the Master Project, but there are no more linked to it, so if you open Project2.mpp and you change something there Master Project remains the same, and vice versa! 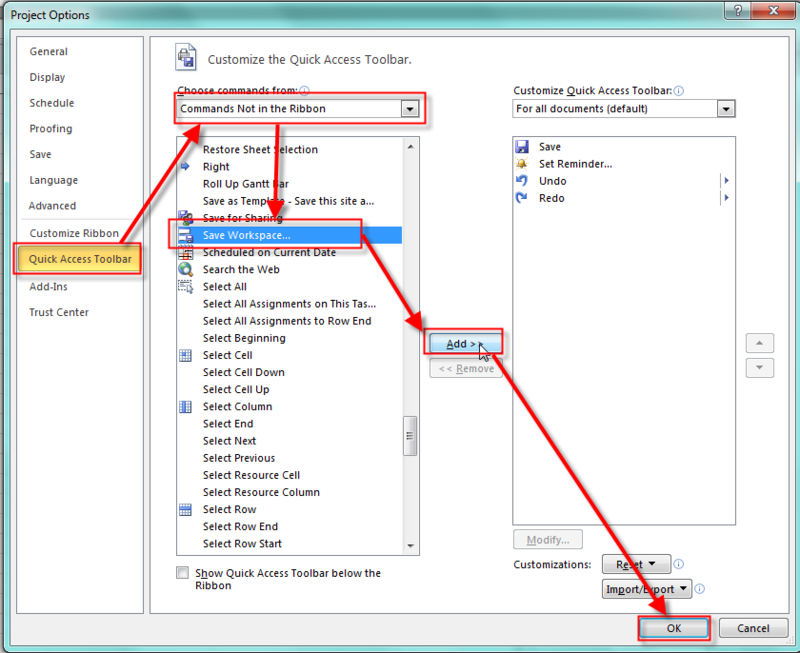 A Master Slave relationship is one way of managing multiple Projects in MS PROJECT 2010. This is good way of managing RELATED PROJECTS! 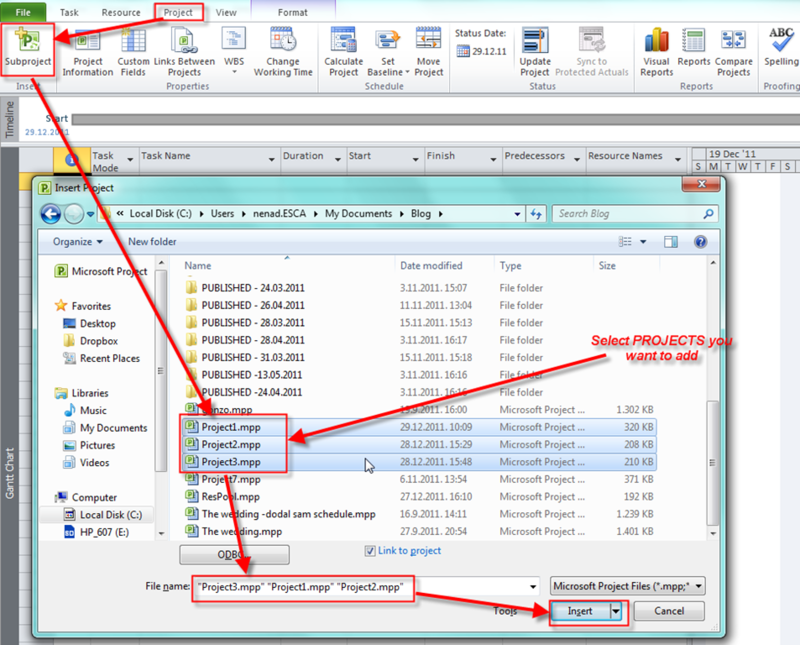 But what if you want to manage UNRELATED PROJECTS in MS PROJECT 2010. 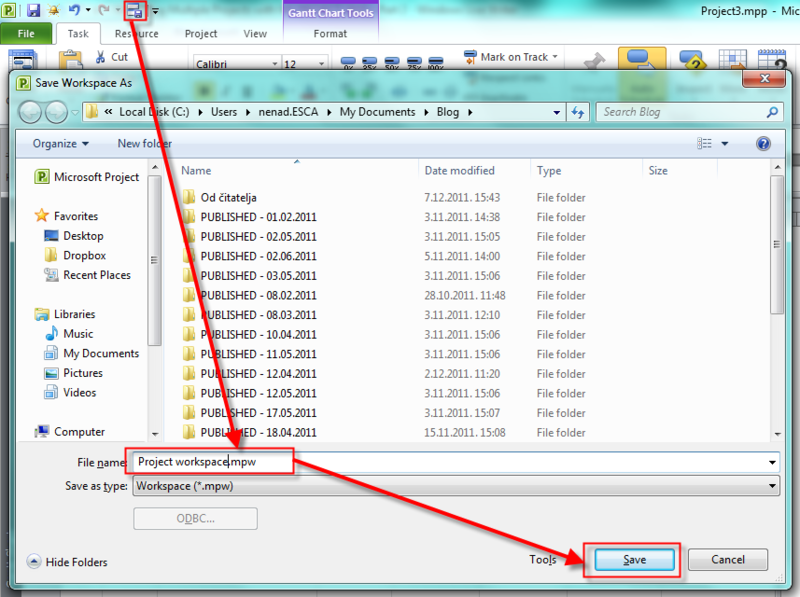 For the end of this Post I will show you how to make a Project Workspace. Suppose that you always open set of Project files. You can put them in the workspace, and then when you open the workspace file all Projects will be opened, without creating Master Slave relationship or making Consolidated Project. and all my Project will be opened! This entry was posted in MICROSOFT PROJECT, Microsoft PRoject 2010, MS PROJECT 2010, PMI, PRoject Management and tagged Microsoft Project 2010, MS PROJECT, MS PROJECT 2010, PMI, Project Management. Bookmark the permalink. What if I want to make changes to the master project but don’t want it to change the sub projects? I want to be able to re-order the tasks in the master project but want them to stay in the same order for the sub projects. I thought you could save “one way”. I say yes to saving the master and no to the subs and I lose the master changes. I have a problem with linking subprojects into Master project. When I published Master project with his subprojects on Project Server and try to edit/add links between subprojects, i have frozen cells and i haven’t options to edit or add anything. I do not have idea. Usually I don’t use master slave model! Hi, I would like a scenario where when the milestones in master project change, the project manager of the sub projects know of the specific change by some alert or good indications in the sub project and then they make relevant change in their sub projects. 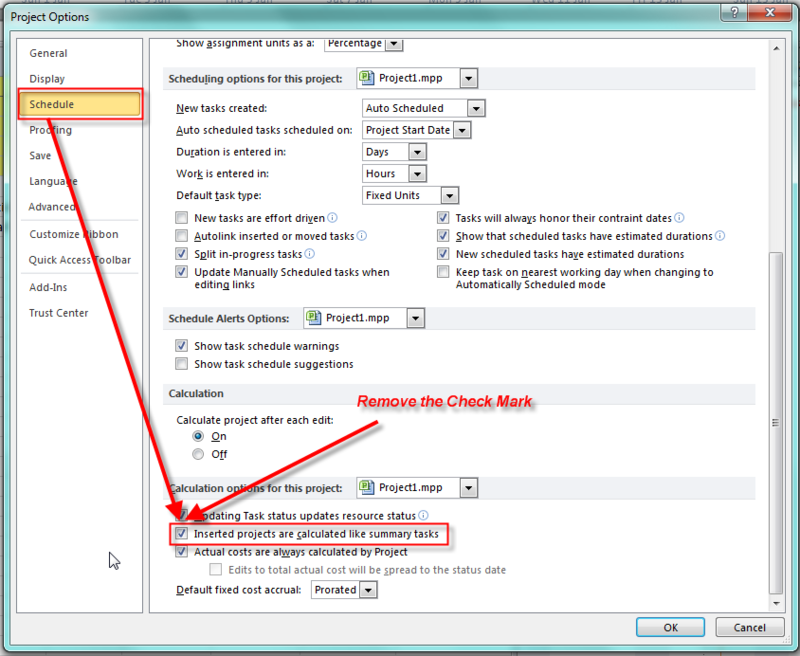 Also after this, the master project schedule should show the critical path changes as the case may be. 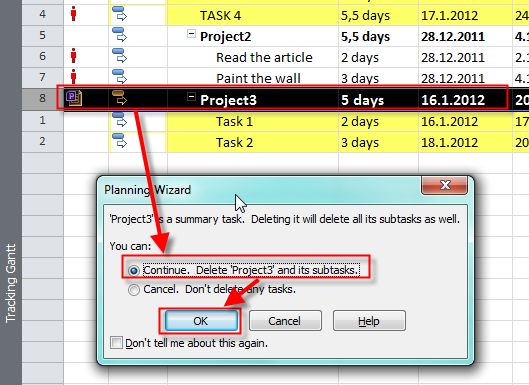 How to have such alerts for project managers of sub projects? Please advise. Hi Nenad. I work with MS Project 2010 and I have a problem with the way that sub-projects behave. I want certain people to have a Master project that they can publish. Other people need a Master project as read-only. I have tried to create a Master project and add sub-projects as read only. However, even though the sub-projects are read only, they still affect the ability to publish from the read-write Master projects. This is driving me crazy. Any ideas? Hey Nenad, great write-up on the use of subprojects. One quick question. How would you keep the master and sub project linked if you had to send them via e-mail? 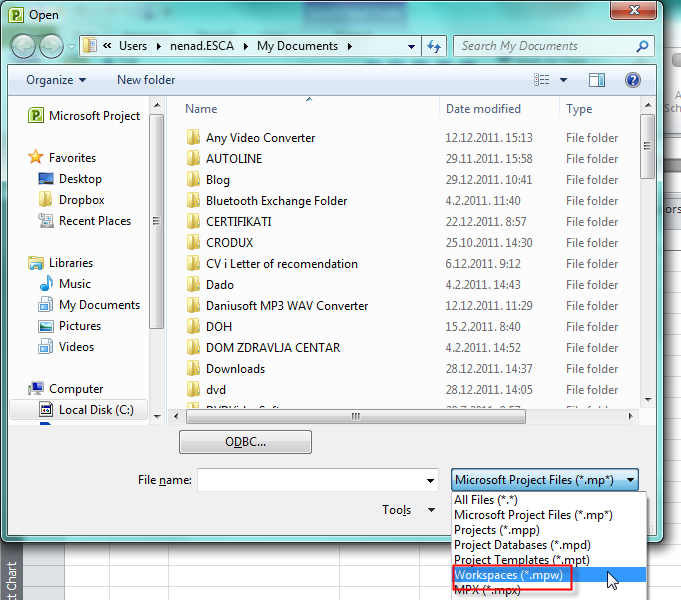 I was thinking of zipping them, then allowing the recipient to extract the files into a folder. Any other ideas? I have a master project with ten sub projects (they are not related) each sub project uses the same resource pool. Within each sub project should I share the resource pool or should I only share the resource pool with the master project ? You should share The Resource pool with Each Project! Hi Nenad, I have created a master project plan with three sub-projects and it appears that every time the master is saved I’m asked if I want to save changes to the sub-projects. In some cases there should not be any changes to the subs, so why is Project asking me to save those changes? I’m also sharing resources from a shared pool. Either Project asks the save subs question every time, or my resource assignements and dates are changing. What do you think? Well, same here. I think that that is how MS PROJECT works! Just Click on YES TO ALL!